It’s fun to hunt for t-shirts with a known connection to some element of history or pop culture. It’s more fun, turns out, to find the t-shirt first and the connection months later. Stumbling through Youtube last week, I got to have that experience for the first time. 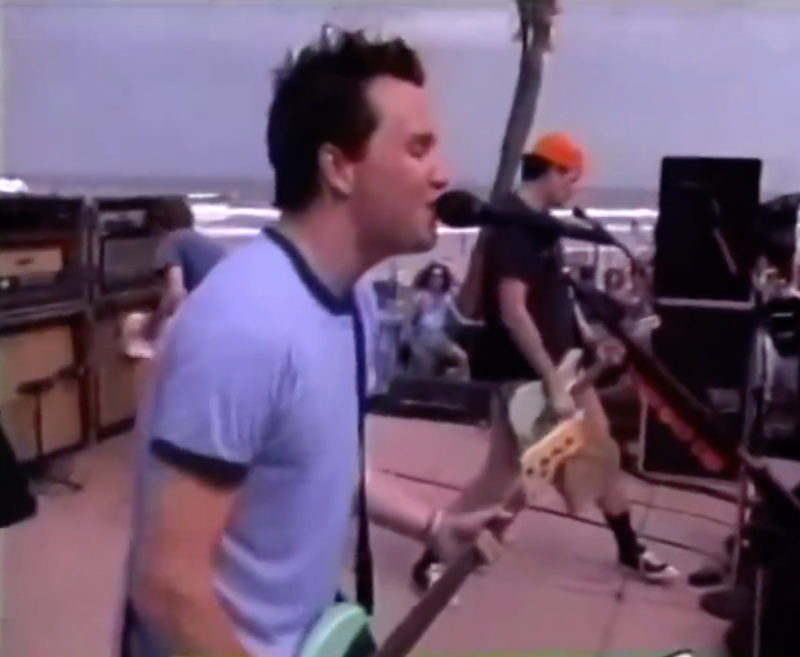 Tom Delonge, turns out, was insufferable even then. And 2000, peak cargo shorts, was a long time ago style-wise. But the band sounds pretty good, and they played “Dammit,” and it’s fun to see that Mark is wearing a skin tight heathered ringer t-shirt. Image courtesy of YouTube, I guess? Screenshotted. Look, the same t-shirt on the CVHQ floor! 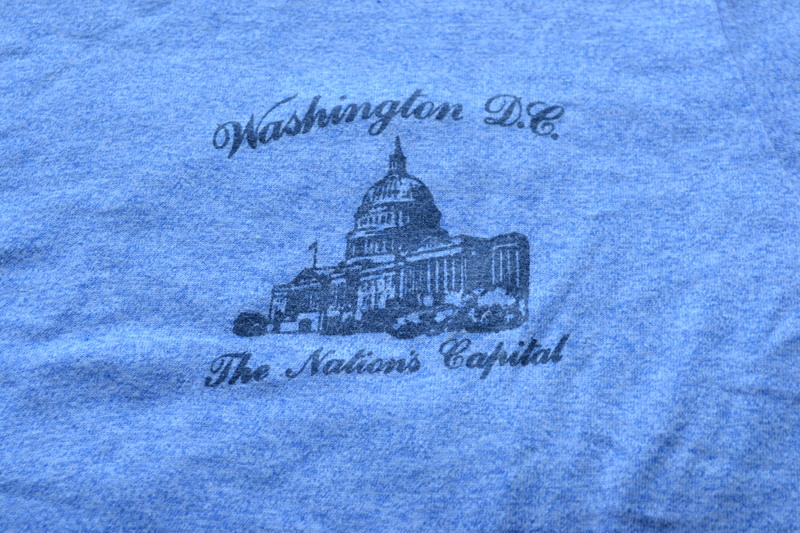 T-shirt looked a bit familiar: A small image of the national capitol with “Washington DC” written above it. My t-shirt bins are right behind my workstation, so I dug around a little and, lo and behold, pulled out the same damn one. This kind of moment rarely happens. Most t-shirts linked to rock stars are in such demand that finding one is near impossible. Originals cost hundreds. But Mark Hoppus isn’t Bob Dylan, and this wasn’t a legendary performance. There’s a good chance I’m the first person to have paid attention and identified the t-shirt here. It’s a late or mid-eighties Screen Stars ringer. 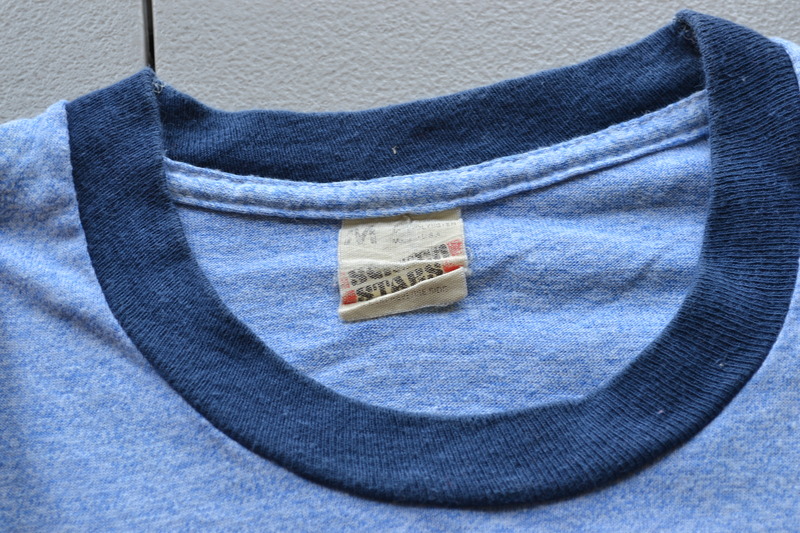 50-50 cotton-poly blend, white tag, and with a small printed graphic on the chest. 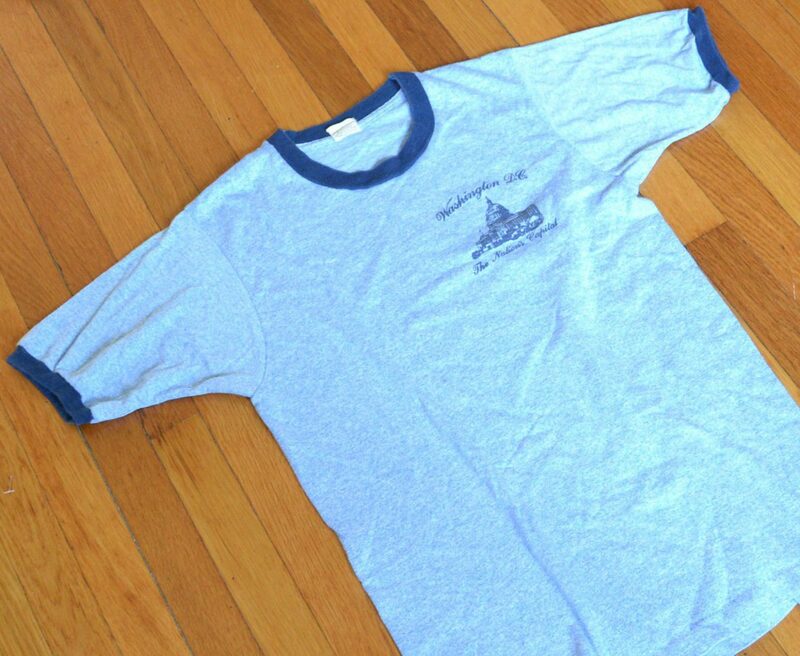 A vintage t-shirt to be sure, unlike, say, anything from Hurley. Because we try not to hoard things here, I shipped this out to known Blink 182 fan last week. The moral of the story here, I guess, is to pay attention to my Instagram account and tell me what you like.